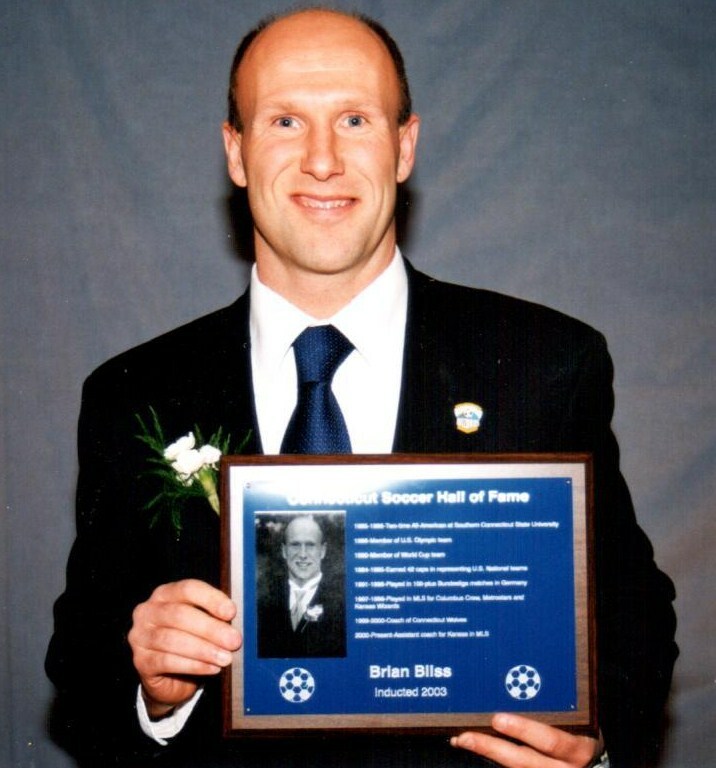 Two-time All-America from Southern Connecticut State University, (1985 & 86) who earned 42 caps for the U.S. National Team from 1984 -95, including trips to the 1988 Olympics, the 1990 World Cup in Italy, and 1995 Copa America in Uruguay. He played professionally in the German Bundesliga (over 100 league games) and for numerous indoor and outdoor teams in the U.S., including Columbus Crew, NY Metrostars, and Kansas City Wizards of MLS. He was the Head Coach fo the Connnecticut Wolves before taking his current position as an assistant coach with the Kansas City Wizards of MLS. 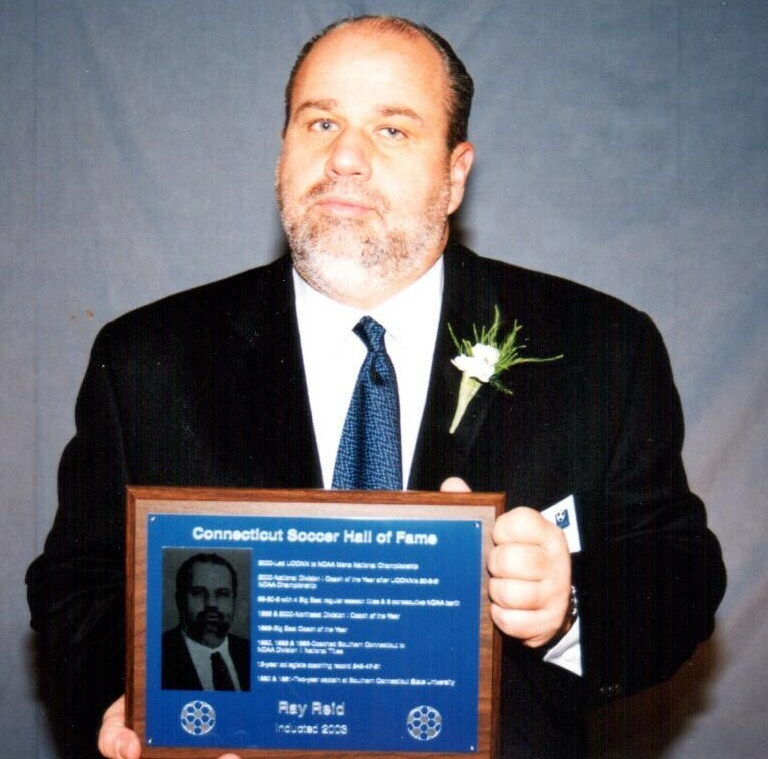 Co-director of Oakwood Sports Center who, along with Dave Farrell, revolutionized indoor soccer in Connecticut. Oakwood’s affiliation with the Hartford Hellions of the Major Indoor Soccer League (MISL) spurred the opening of Oakwood’s indoor soccer center in 1980. Oakwood’s Indoor Soccer Center, one of only ten in existence in the U.S. in the 1980’s, has since become a model for the more than 300 soccer complexes now operating throughout the country. Derella also created the Oakwood Soccer Club, which is recognized as one of the premier clubs in the country and continues to compete at the highest levels. Oakwood SC has won 49 CJSA Open Cup championships and 4 national indoor titles. As the CJSA Olympic Development Program Director, his direction provided a model that future directors have followed. 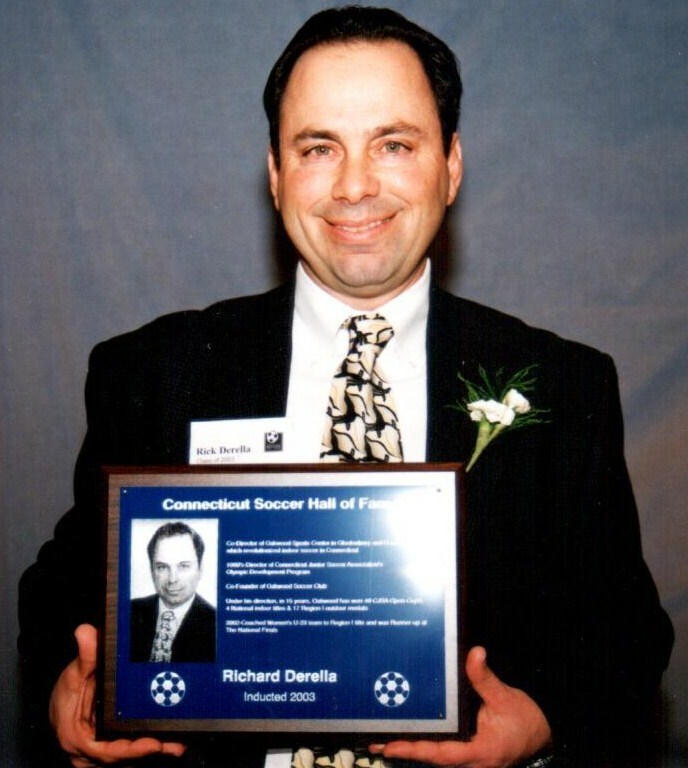 Co-director of Oakwood Sports Center who, along with Rick Derella, revolutionized indoor soccer in Connecticut. Oakwood successfully transformed the indoor game into its present form with dasher boards. Previously indoor soccer in Connecticut was played exclusively with lines and without boards. 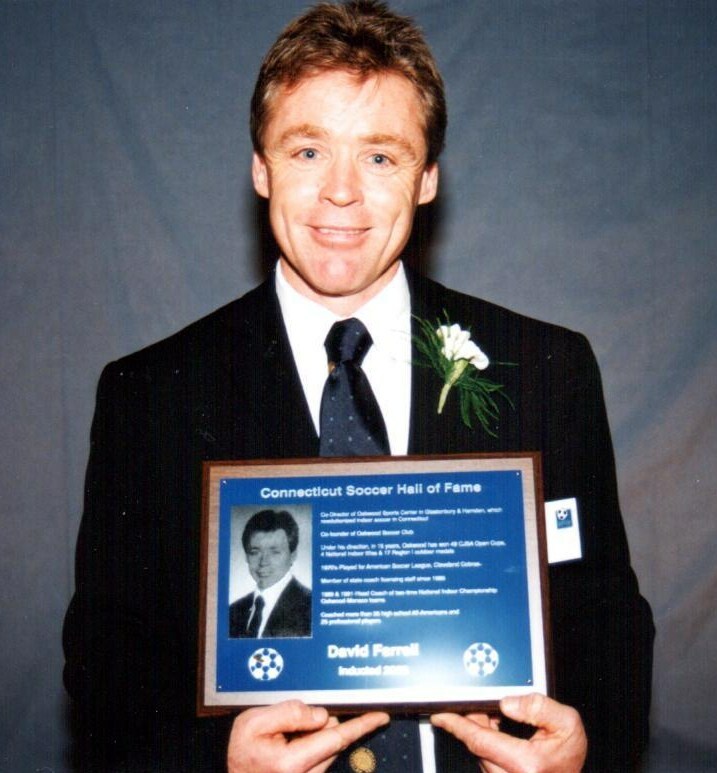 Farrell also created the Oakwood Soccer Club which is recognized as one of the premier clubs in the country and continues to compete at the highest levels. He is also a former player with the Cleveland Cobras of the American Soccer League (ASL), a member of the Board of Directors of the newly formed U.S. Club Soccer Organization, and a member of the CJSA State Licensing Staff since 1986. James Kuhlmann became a legend to a generation of players in the Westport, Connecticut area for his playing and coaching. 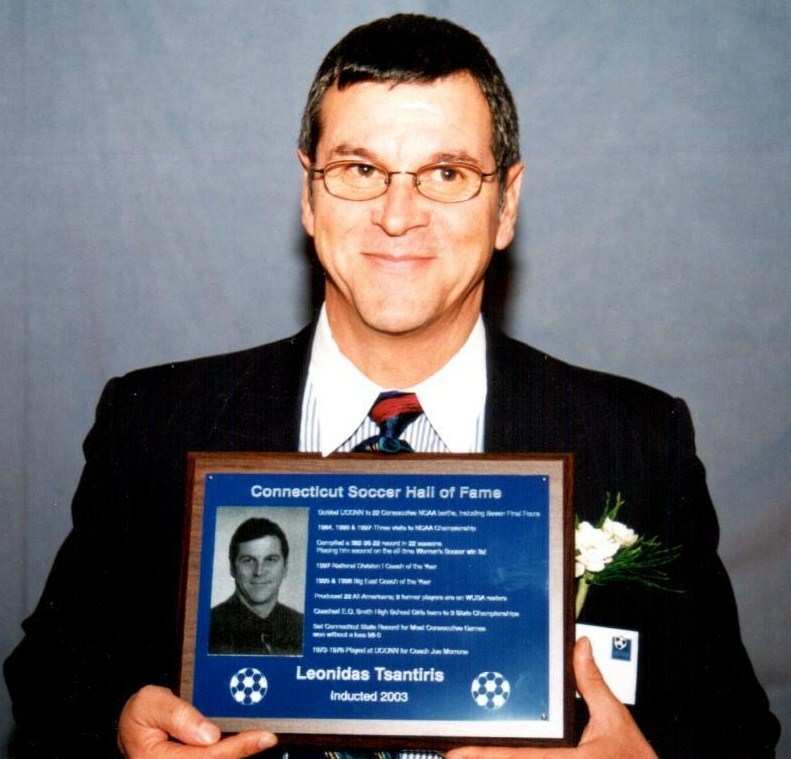 He is beloved by many players he coached as he established Westport youth soccer, along with Albie Loeffler, into one of the premier programs in the region in the 1960’s and 70’s. He was a founder of ‘The Soccer Farm’, one of the first overnight soccer camps in the country. Kuhlmann also led the University of Bridgeport to the first-ever NCAA championship game as a player, and he developed the varsity program at Fairfield University and coached for 24 years. He is a member of the Fairfield University Athletic Hall of Fame (1995). He also played at Manchester High School during the 1950’s and numerous amateur teams thereafter. 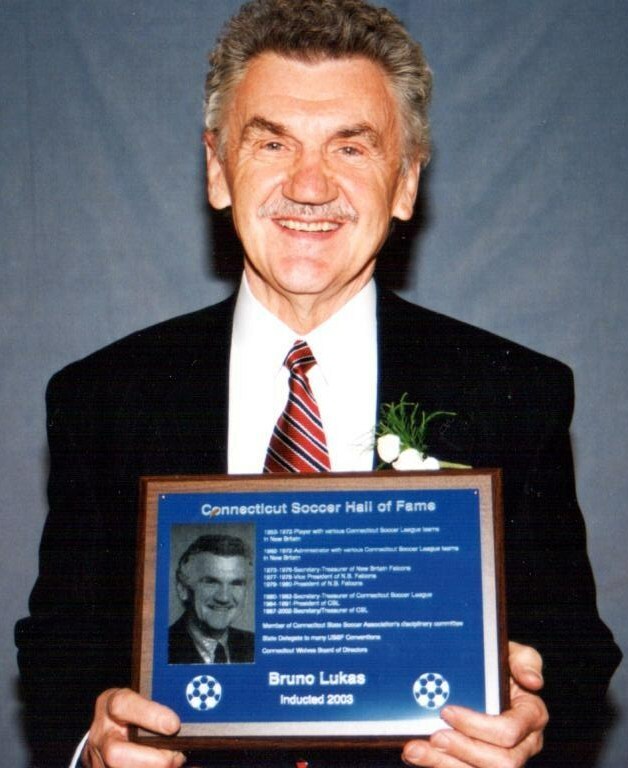 Affiliated as a player or administrator for numerous Connecticut Soccer League teams from 1953-1972. Served as President (and held other offices) of the New Britain Falcons SC from 1973-80. Chaired the USA/Poland International Game Committee (1973). 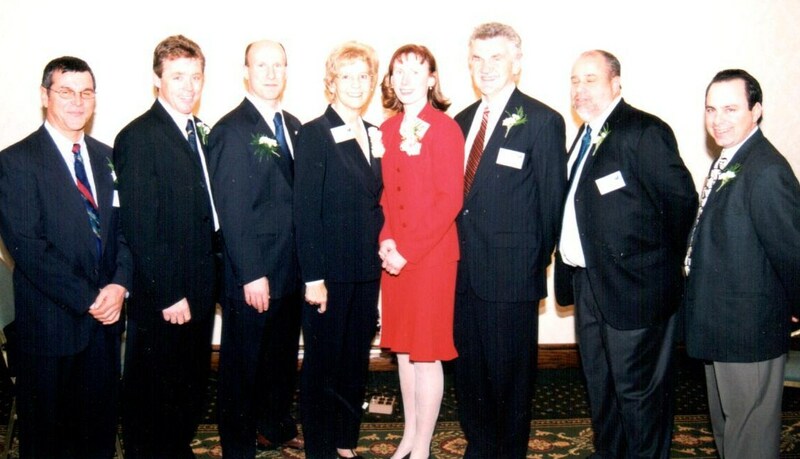 Held positions of Secretary, Treasurer, and President of the Connecticut Soccer League (CSL) from 1980 to 2002. His integrity and leadership guided the league through many changes over 22 years. 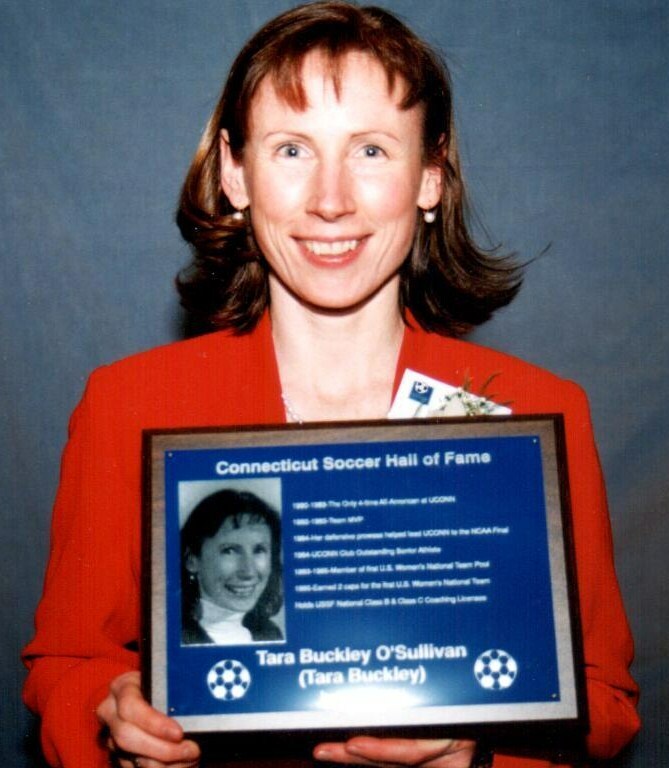 Held many other soccer positions, including Treasurer of Connecticut Wolves, CSSA Discipline Committee member, and state delegate to various USSF conventions. The only 4-time All-American at UConn (1980-83) and member of the first U.S. Women’s National Team. Her defensive prowess helped UConn reach the NCAA finals in 1984 before falling to North Carolina. She earned two caps with the Unites States National Team and was a in the National Team player pool for three years (1983 - 85). She also played for the U.S. Sports Festival East Team (1985), earned the UConn MVP Award (1982-1983) and was selected their ‘Outstanding Senior Athlete” in 1984. In addition, O’Sullivan also holds a USSF National B Coaching License. Led UConn to NCAA Men’s National Championship in 2000, his fourth season at Storrs, and was named NCAA D1 Coach of the Year. Reid took over the coaching reins after directing the Southern Connecticut State University program to NCAA Division II national titles in 1990, 1992 and 1995. His overall 12-year record as a collegiate head coach is 245-47-21. He led SCSU to six trips to the NCAA Division II ‘Final Four’, including a ‘Final Four’ berth each of his last five seasons at the school. Reid was also a two-year captain (1980-81) during his playing days at Southern. UConn Women’s head coach for 22 year who has advanced to 22 consecutive NCAA National Tournaments, including three visits to the NCAA Championship Game in 1984, 1990 and 1997. He has also guided the Huskies to 7 National “Final Fours.” He was voted the 1997 NCAA Coach of the Year. In his 22 seasons in charge of the UConn women’s soccer program, Coach Tsantiris has compiled a superb 382-96-22 overall record, placing him second on the all-time women’s soccer college win. “Lenny” was also a standout player at UConn during their surge to national prominence in the early 1970’s. In addition, he coached the E.O. Smith High School girls team to three consecutive undefeated seasons and state titles from 1978-80.